• 1250 exhibitors from 60 countries: top suppliers from Feed to Food! A big opportunity to join the top feed-to-food, animal husbandry network in Asia! Plan now your trip to the beautiful city of Bangkok. Entry to the show is free, to secure your badge register, HERE. For more information on the show, visit the VIV Asia website, HERE. 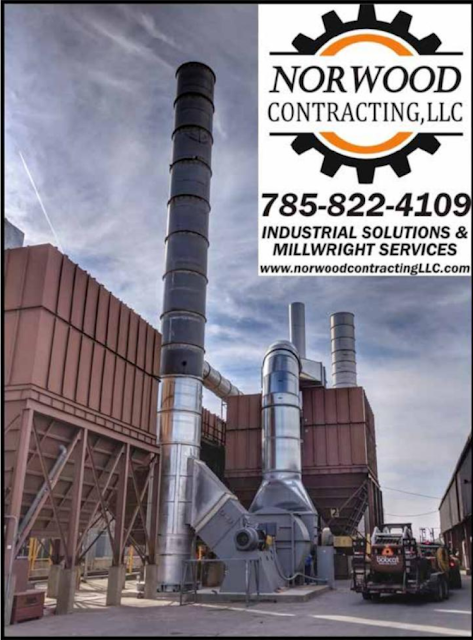 Norwood Contracting and their trusted partners can help you build new or expand existing facilities. Whether you need some temporary storage to get you through this years harvest or you’re looking at a more permanent solution. Sit down with Norwood Contracting and let them help you choose what type of building, bin, or bunker is best for you. Leaky spouts? Missing buckets or paddles? Let them help you get all of your existing elevators, conveyors, and spouts working correctly to keep your material contained and off the ground. Or, if you are looking to expand, they can show you option to move your material quickly and efficiently. When you choose an industrial solution, you also need to have the people to keep the wheels greased. Norwood Contracting has you covered. They will supply you with several options to keep your facility up and running to the best of its ability. Let’s face it, no matter the amount of planning prior to the start of a project, there will always be that one little piece that doesn’t fit into the puzzle the way it’s supposed to. With over 40 years of collective fabrication experience, Norwood Contracting are able to construct that custom piece on the fly, instead of ordering it elsewhere. This reduces wait time and eliminates the wait for a shipment, which gets you back up and running faster. For more information visit the Norwood Contracting, LLC. website, HERE. As the world’s population skyrockets and global food demand continues to grow, securing our future food supply will be crucial, especially for staple foods such as rice. However, a shortfall in supply is expected due to declining productivity growth on rice farms. In the 1960s and 70s, rice productivity growth was exceptionally high. During the 1970s and 1980s, rice yields increased by around 2.4 percent per year (pa), but since then, yield growth has stagnated to just 0.4 percent pa. Moreover, there is less land available due to land conversion, soil salinity and water scarcity. By 2050, it is expected that global demand for rice will grow significantly; however, due to extreme weather events and adverse climate change impacts, a shortfall in production is projected if the trends continue. To meet global demand, the International Rice Research Institute (IRRI) projects that production needs to increase by 25 percent over the next 25 years. The importance of rice in providing food and nutritional security for half of the world’s population is widely recognised. 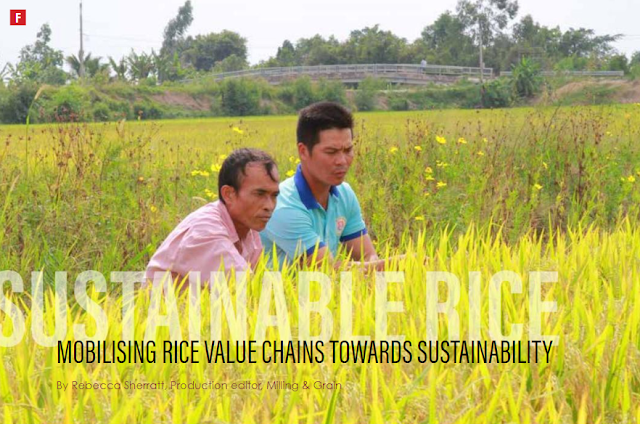 However, rice farming presents huge sustainability challenges, particularly in its use of water and fertilisers, and in the emission of large amounts of greenhouse gases from flooded rice fields. According to IRRI, rice production uses 34-43 percent of the world’s irrigation water. For every one kilogram of rice produced, approximately 2,500 litres of water is used. In addition, rice accounts for about 13 percent of the global nitrogen fertiliser supply and is responsible for 5-10 percent of global methane emissions. The picture is further complicated when we consider that rice not only contributes to climate change through greenhouse gas (GHG) emissions but is also highly a victim of climate change. Rice farmers are among the world’s most vulnerable to climate change impacts such as drought, flooding, temperature rise, extreme weather events and rising sea levels. So how can the global rice sector address the challenge of boosting production on existing rice lands to meet demand, while at the same time protecting the environment, mitigating climate change impacts and safeguarding farmers’ livelihoods? 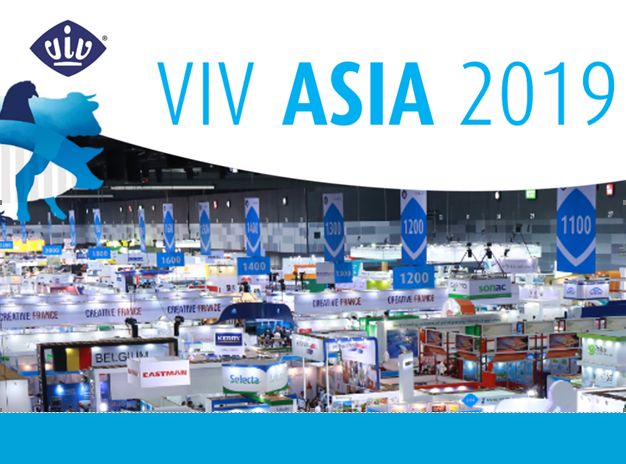 Build my Feedmill, taking place on March 13th at VIV Asia, has confirmed its final line-up. The two-hour conference will take place in Room 223, and feature a set of 10-minute presentations from a variety of speakers about different processes taking place in a feedmill. 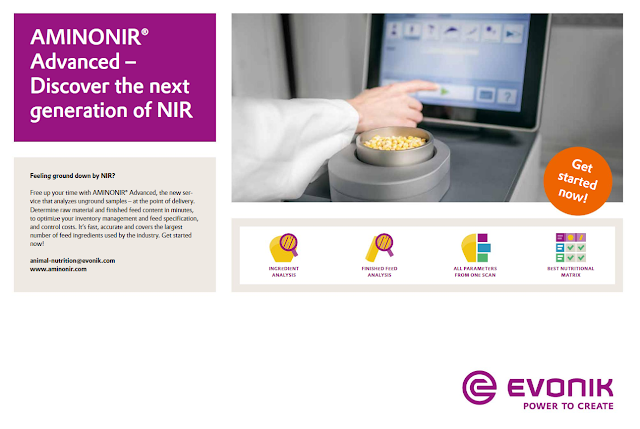 Evonik is one of the world's leading specialty chemicals companies. Profitable growth and a sustained increase in the value of the company form the heart of their strategy, which is supported by their owners, RAG-Stiftung (74.99 percent) and funds managed by CVC Capital Partners (25.01 percent). Their specialty chemicals activities focus on high-growth megatrends—especially health, nutrition, resource efficiency, and globalisation—and their goal is to enter attractive future-oriented markets. In 2011 Evonik’s roughly 33,000 employees generated sales of €14.5 billion and an operating result (EBITDA) of €2.8 billion. More than 70 percent of sales are generated outside Germany, providing convincing evidence that our business is global. For the last 100 years, AIB International has worked hand-in-hand with the world's top food and beverage companies to advance the safety and quality of food for families everywhere. 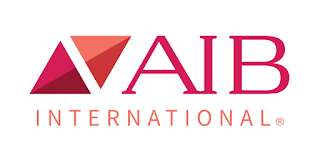 At the 2019 GFSI Conference which took place 25 – 28th February, in Nice, France, AIB International looked to the next hundred years with a new brand launch and provided a sneak peek at one of its yet-to be-released training solutions. In line with helping companies deliver on their promises, AIB International has also demonstrated an augmented reality training concept that is in the pilot stages of development. The customisable simulation takes real-world images and video and overlays the concepts and facts employees need to do their jobs. The program also includes a testing component, so staff can demonstrate how they apply what they know. AIB International provides the most trusted global brands with inspections, consulting, training, research and development and certification services. Founded in 1919, AIB International's vision is to ensure the enjoyment of food everywhere by facilitating the acceptance and application of the highest food integrity standards. For more information visit the AIB International website, HERE. 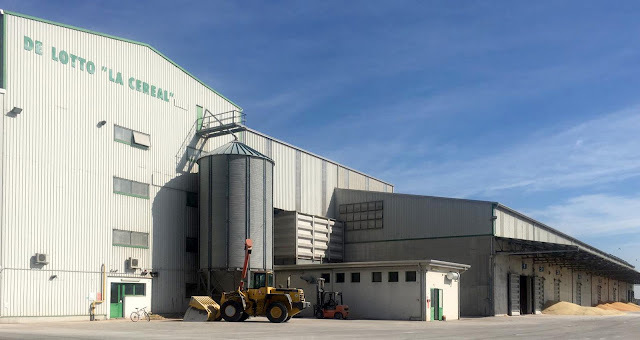 Ocrim, one of the most renowned companies in the world for the construction of milling plants, is one of the main suppliers of the Indonesian Bogasari Flour Mills and has been since 1971. Indeed, both boast years of loyal partnership, which has enriched and strengthened their business and the countries they belong within. Once again, Bogasari Flour Mills, one of the most notorious milling companies in the world, has chosen Ocrim to perform a complete retrofit and expansion project, in two phases, of the H, I & J mills of Jakarta with precise production objectives. The lines have been in service for over 40 years and originally supplied by Ocrim, for a capacity of 800 tonnes/24h for each line. The two phases involved, in the first instance, the retrofit and expansion of the cleaning lines and, secondly, the complete retrofit and expansion of the three milling lines with the requirement to take them to the maximum capacity possible within the same building footprint. Ocrim have eagerly accepted the challenge and have transformed the three milling lines, reaching a daily capacity of 50 percent higher than the previous ones, i.e. for a capacity of 1200 tonnes / 24h for each line. The new lines feature all new equipment of the latest generation. It has been a real gamble, both in researching the ideal layout and in optimising space. To achieve the desired results it was necessary to reinforce the civil structure of the building, due to additional loads, integrating the building with an additional floor to exploit as much as possible the concept of energy savings applied to the entire plant and, moreover, with a very innovative and efficient diagram, it has been possible to implement Ocrim’s last generation double deck roller mills, used in an optimal way to obtain an excellent final product, and to apply modular plansifter with 10 channels also for a concrete optimisation of the spaces. 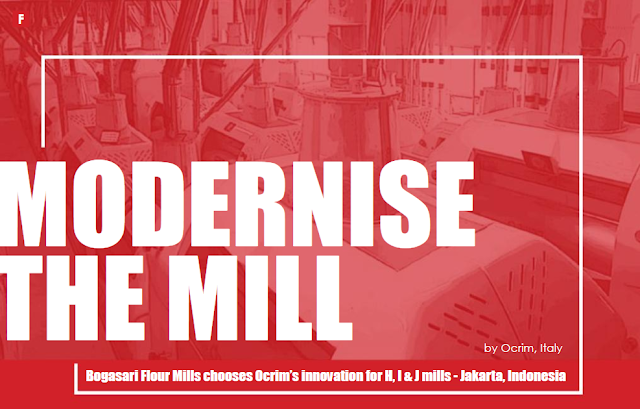 It should be remembered that, 40 years ago, a similar cutting-edge work was carried out on the original project in order to obtain a state-of-the-art plant and LKK roller mills were installed, which were already considered a futuristic cut at that point in time. Today, for this new project, it is possible to note that Ocrim have reserved the same attentions and have conceived the entire work through an innovative approach that regards the design, technical and technological aspects. Dates of 2-3rd October 2019 have been announced for the second edition of Poultry Africa, the expo designed especially for the poultry meat and egg sectors of countries in sub-Saharan Africa. Also confirmed by the organising team at VIV worldwide is that this business-oriented biennial event is returning to Kigali in Rwanda, as a direct result of the highly positive feedback received from exhibitors and visitors at the 2017 edition. As before, the event, comprising both the expo and the Leadership Conference takes place in the modern and professional facilities of the Kigali Convention Centre in Rwanda's capital city. The relatively small size of the poultry business in Rwanda itself is therefore outweighed by the country's position in a part of the world that has enormous potential for further increasing its production of chicken and eggs. On latest estimates, the countries of West and East Africa together produce almost 2 million metric tonnes of poultry meat and 27 billion eggs per year, with some forecasters expecting up to a 10% increase in output by 2025. One of the successes of Poultry Africa 2017 was its inclusion of a Leadership Conference, in effect, a regional summit that looked specifically at important issues affecting the poultry markets of sub-Saharan Africa with a panel of speakers drawn from within the region and global authorities. Details of the 2019 Leadership Conference will appear soon on the event's website, HERE. Online pre-registration for everyone intending to visit Poultry Africa 2019 will open on its own website and on the VIV website, three months before the event. The show is preparing to welcome high-level delegations from focus countries in its target region amid expectations of a much larger total attendance than at the 2017 edition. For more information visit the Poultry Africa 2019 website, HERE. Registration is now open for four courses from the Grain Elevator and Processing Society (GEAPS) and Kansas State University in April. These online courses run from April 2 through May 7, and registration closes March 27. Learn the purpose of grain aeration, system components and how to develop strategies for aeration system design and fan operational management. The course covers basic principles of designing and operating grain aeration systems to maintain grain quality during storage. Identify the main risks of working in the industry, discuss precautions and learn to follow company and facility safety and health policies. This course is a great resource for new grain industry workers, and also serves an excellent safety refresher for more experienced employees. This course discusses the main causes of fires and smolders in upright grain silos as well as ways to prevent and respond to emergencies. It will give you the tools to develop emergency action plans and interact with first responders. This course introduces key information about powered-transmission design, system design and other affiliated systems used to move and store grain and related commodities. It is recommended that participants complete GEAPS 550: Materials Handling I and GEAPS 551: Materials Handling II before taking this course. All four of these courses count towards credentials from GEAPS and Kanas State University. For more information on the certification, visit the GEAPS credential website, HERE. Courses cost $700 for GEAPS members and $965 for non-members. Companies can save up to 20 percent on blocks of registrations with the volume discount program, and lock in the price for three years. For more information about the courses or the GEAPS/K-State Distance Education Program, visit the GEAPS website, contact Melissa Ferguson or call (763) 999-4300. The Grain Elevator and Processing Society (GEAPS) is an international professional association that supports its members and the industry by serving as The Knowledge Resource for the world of grain handling and processing industry operations. GEAPS addresses the industry's critical grain handling, storage and processing operations needs by providing the finest networking, professional development programs, and access to a global marketplace of equipment, services and technology solutions providers. GEAPS' global network of industry professionals includes more than 2,500 individual members from about 1,050 companies. 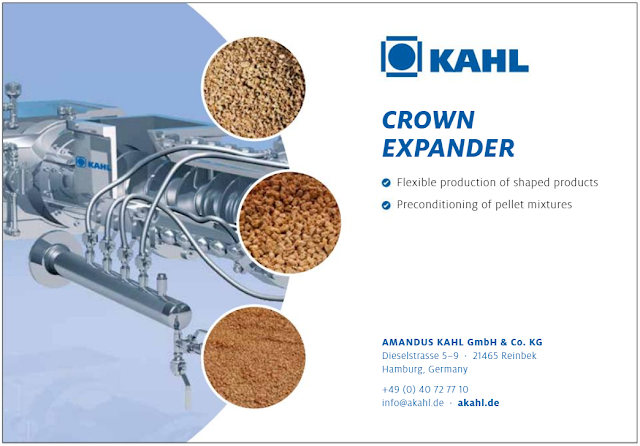 Amandus Kahl GmbH & Co. KG plan, design, and build machines, plants, and turnkey production factories for conditioning and pelleting. Their processes are used successfully in many different industries, such as the food and feed industry, the chemical and pharmaceutical industry as well as the disposal and recycling industry. More than 130 years of experience in plant and machine manufacture have made Amandus Kahl a respected manufacturer and supplier of extruders, compound feed presses, wood pelleting plants or granulate coolers, for example. The company’s motivation has always been to develop an even better product for their customers. For this reason they cooperate with research institutes and universities. You can always be sure that they will supply you an optimally customised wood pelleting plant, grain cooking plant, waste-tyre recycling plant etc. Their scope of services also comprises maintenance and repair of the compacting machines, compound feed presses, extruders and wood pelleting plants as well as all other products they offer in their company. Italian company, De Lotto Group, located in Volpago del Montello has chosen Ocrim for its new plant dedicated to maize processing. It has a production capacity of 240 T/24h and it is equipped with Ocrim's innovative technology. Providing two types of degermination, dry and wet, it produces several varieties of grits for different types of utilisation. The plant is completely automated and so it guarantees a significant reduction of maintenance costs. Great attention is paid to hygiene and sanitation aspects, in order to obtain an excellent and safe final product. De Lotto Group is known in the national and international milling sector to be a company that cares about the needs of the costumers. It processes local raw material to guarantee the highest quality and clear traceability of the final product. Mr Alberto Antolini, CEO of Ocrim, is proud for this constructive partnership, which is the synthesis of two different companies that share the same attitude, based on transparency and honesty. For more information visit the Ocrim website, HERE. This article explains how rice millers can effectively take advantage of laboratory analysing equipment or apparatus, such as the Milling Meter MM1D, one of the most basic and important pieces of analysing equipment, which will be described in detail later. Satake strongly believes that smart application of analysing equipment can contribute to improving profit in the milling industry. Unfortunately, Satake has seen too many rice mills wherein analysing equipment were routinely operated incorrectly. Some rice milling facilities do not even possess any analysing tools. In these rice mills, milling machine adjustment can only be done with operators’ knowledge and skills acquired from experience. Furthermore, milling datas including incoming raw materials and final products’ conditionss are often not captured quantitatively as well. Satake would like to propose a potentially lucrative procedure, based on collecting pertinent data from analysing equipment, for competitive advantages. First and foremost, rice millers need to recognise the benefits of using analysing equipment . Laboratory equipment is not just tools to measure indices, provided on a QC checklist as routine work, it is directly connected to profit and could be considered a lucrative strategy. Sharing this point of view among managers and operators is the first step towards an effective implementation of analysing equipment. MM1D, for example, measures whiteness/milling degree, but also provides a tool to manage and help achieve a more profitable operation. MM1D can measure whiteness/milling degree simultaneously for both brown and white rice. The range of whiteness degree is 0-100, where 0 is jet-black and 100 is as white as oxidised magnesium powder. It can determine the rice degree of whiteness. In Japan, whiteness degrees of brown and white rice are approximately 20 and 40 respectively. Please note, whiteness degree fluctuates with rice varieties and grain conditions. On the other hand, milling degree range is 0 for brown rice and 100 for white rice, with all bran layer and germ removed completely, but leaving starch inside the grains untouched. The milling degree is derived from the measurement of both reflected light from rice and transparent light going through it. Using a mathematical formula, a curve can be generated to show the relationship between whiteness and milling. It also provides the calculated milling degree that indicates how well the rice is milled. The FOODTECHMASTER Maintenance Management course is a comprehensive course on predictive and preventive maintenance, with specific skills on the utilisation and analysis of big data. 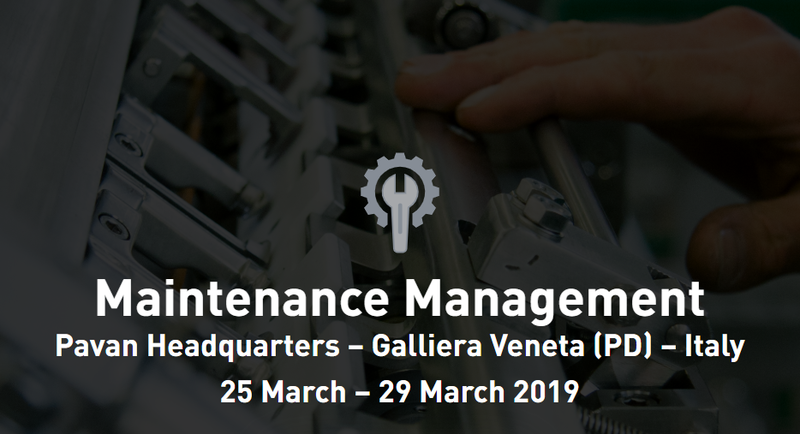 The course will take place at the Pavan Headquarters, Italy, from the 25 – 29th March, 2019. Learn how to best manage your plant to ensure continuous operation and maximum efficiency. In addition to overall knowledge of industrial plant maintenance, a specific Maintenance Analysis for dry pasta plants will be proposed. Don't miss this opportunity! Boost your career and become a master in food production technology. The FOODTECHMASTER is a series of professional training courses organised by Pavan with the aim of sharing knowledge and expertise on food production technology. Become a Food Tech Master and bring with you more in-depth knowledge. For more information on speakers, the detailed programme, and to get your ticket, visit the FOODTECHMASTER website, HERE. 2019 Poultry Hall of Fame Inductees (from left) The family of the late Dr. Mark Cook; Jim Perdue, Perdue Farms; Abit Massey, Georgia Poultry Federation; and the family of the late Dr. Earl Benjamin. They include Earl Benjamin, D. W. Brooks, Mark Cook, Abit Massey and Jim Perdue. The induction ceremony was held at the International Production & Processing Expo (IPPE) at the Georgia World Congress Center in Atlanta. Diving into grain processing and receiving an in-depth overview into mill operations, grain industry managers can partake in the Bühler–KSU Executive Milling course from May 20–24, 2019. The IGP Institute will host this course in conjunction with Kansas State University's Department of Grain Science and Industry and Bühler Inc., of Minneapolis, Minnesota. The training is geared for mill owners, directors and managers. 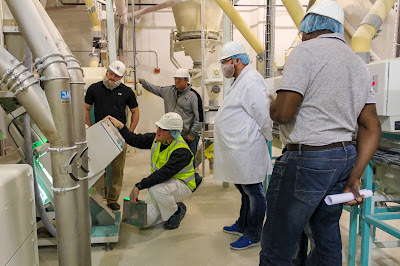 Participants can expect to gain an understanding of the underlying principles within milling processes, learn the parameters that may be influenced by raw materials become familiar with critical control points, and understand the challenges of the operating staff. He adds that participants will engage in discussions over a variety of milling topics including raw materials, cleaning systems, milling systems, finished product handling and storage, performance evaluations, and factors that may influence investment decisions. To register for the Bühler–KSU Executive Milling course, visit the International Association of Operative Millers (IAOM) website, HERE. To learn more about IGP Institute training opportunities, visit the website, HERE. Dr Matthias Moser has taken over the management of SternEnzym GmbH & Co. KG in Ahrensburg. A highly-qualified scientist, he has already managed the business of the sister companies Hydrosol, OlbrichtArom and HS Additive in the same positiont since 2015. His predecessor at SternEnzym, Lennart Kutschinski, will in future concentrate on his activities as managing director of the rapidly expanding companies Mühlenchemie, DeutscheBack and SternVitamin. Responsibility for the seven foreign affiliates in the Food Ingredients division will be shared by the two managers. All the firms are members of the independent, owner-managed Stern-Wywiol Gruppe based in Hamburg. 'This personnel restructuring will create resources for increasing the effectiveness of our companies even further. We are glad to be able to handle the growing responsibility for our expanding business fields with our own, in-house resources', says Torsten Wywiol, CEO of the Stern-Wywiol Gruppe. For more information visit the SternEnzym website, HERE. The world is unpredictable, and nobody knows this better than farmers. With climate change drastically effecting the amount of rain we get yearly and temperatures soaring, crops are becoming a dangerous game, as farmers never know what will happen next. ZE has a solution for this: ZEMA. The Vancouver-based data company, responsible for the data and software technologies for thousands of companies globally, has designed one comprehensive data analytics software that can keep farmers and traders up to date with the latest in yields, stocks and prices, as well as monitoring the success of their own crops and their expected income. With this technology, the future of farming needn’t be so uncertain. ZE are acutely aware of the risks and challenges that farmers and traders face, and their goal is to provide software that can harvest this data and find solutions to these problems. 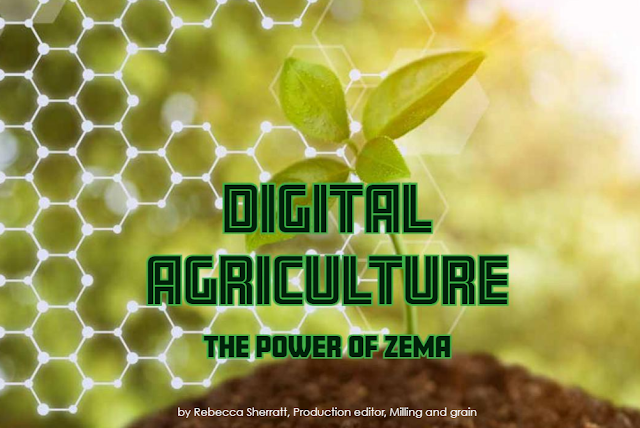 By turning data into intelligence, ZEMA’s advancements can innovate agriculture into a new digital frontier, making sense of big and real-time data, and considering geopolitical risks and opportunities. One big issue is where will we gather enough food to feed everyone? The most recent EU estimate suggested there are 7.3 billion people on Earth, however, this will rise by 2.3 billion, up to 9.6 billion by 2050. In the past thirty years, developing countries’ investments in agriculture have dropped significantly, especially when compared to developed countries. This is resulting in low productivity and stagnant agricultural production in these developing countries, placing a strain on other developed countries to provide food for those countries which are struggling to maintain their produce. Water scarcity, extreme weather conditions and rising global temperatures are all having sever effects on crop yields. Crops failing can have drastic effects on countries, most notably places such as India, where farmers commonly commit suicide during droughts where the annual hurricanes don’t arrive to nourish the fields. The food supply chain is very delicate, complex and therefore also easy to disrupt. Alongside all the environmental changes that effect prices of items, agricultural products also often have high transport costs, which also are subject to change and can affect local and regional prices. Wheat, in particular, is subject to sudden shifts in price. In the past ten years alone, the price of wheat has shifted dramatically. Some years, transport costs of wheat has accounted for 15 percent of the overall price for the produce, whereas other months it has suddenly inflated up to being 20 percent of the overall costs, placing a serious strain on buyers and traders. 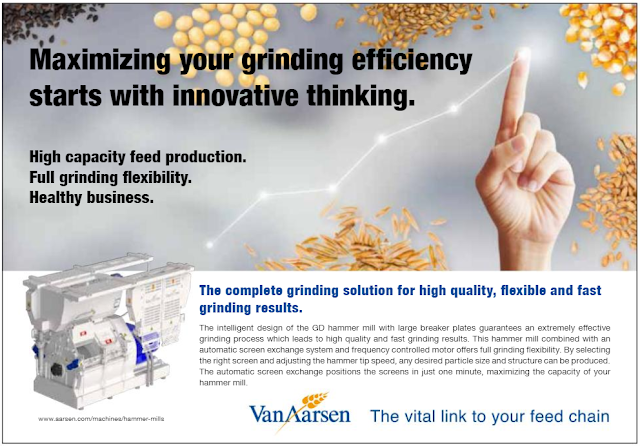 Van Aarsen has become a household name worldwide for machinery and turnkey projects for animal feed technology, both for commercial feed producers and for vertically-integrated businesses. Quality is of the utmost importance in both sectors of the industry and innovations in feed production are therefore of great interest. Thanks to their extensive experience, engineers and technicians are always able to offer tailor-made solutions.